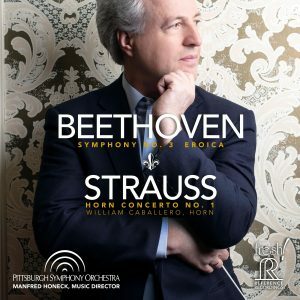 William Caballero, the principal horn player of the Pittsburgh Symphony Orchestra, gives the piece an extraordinarily differentiated and colorful interpretation. It is admirable, how he makes some passages appear in a completely new light through dynamic nuances. His brilliant technique and velvety tone are just wonderful. The outstanding orchestra under the sovereign lead of Manfred Honeck has made a substantial contribution to the overall picture. 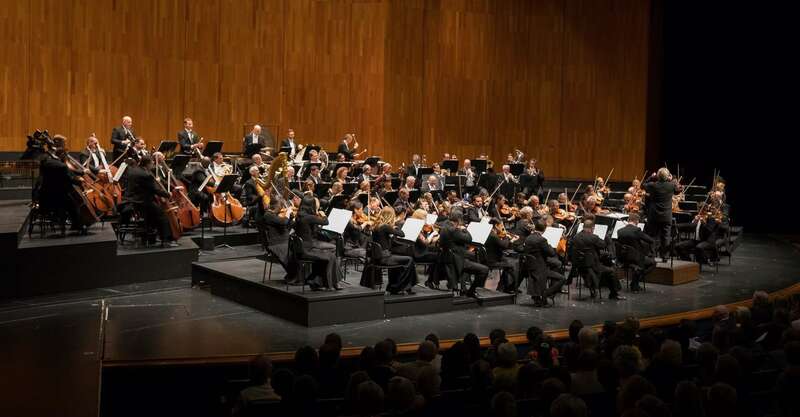 To what musical heights this orchestra is capable of can be witnessed in the introductory “Eroica”, where Honeck conducts with relentless precision and stringency, but leaves enough freedom for his musicians to unfold as soloists (winds and brass!). The recording technique is simply phenomenal!